If your eyes are sometimes larger than your stomach, then you’ve probably discovered how difficult it is to navigate restaurant menus and supermarket aisles. Seemingly everything is ‘family size’ or ‘20% off!’ Then there’s the nutrition and serving-size label on the back: who can really eat just three squares of chocolate? But, fear not, despite food continuing to be served in bigger packages, you can keep your portions under control without feeling hungry or being tempted to consume too many calories. How much you eat can be nearly as important as what you eat, so here are some tips and strategies for portion control to help you maintain control of your weight-loss goals and healthy lifestyle. Planning your daily and even weekly meals and snacks is one of the easiest ways to keep yourself on track to help avoid overindulging. After you cook and prepare your meals, divide up portions into containers for your next day’s lunch or to store in the freezer for a quick ready meal. 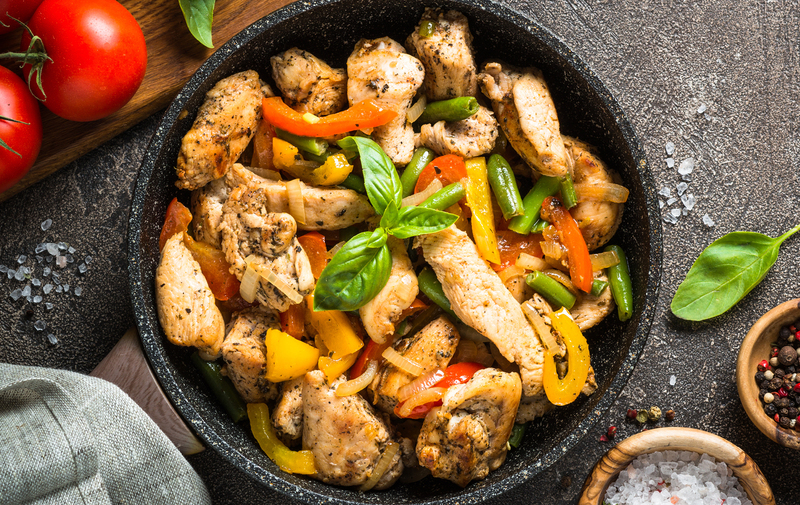 Meat, poultry, dairy and many other staples can last for weeks when properly frozen and you’ll have prebuilt, portion-controlled plates for future meals. We know fibre is crucial for keeping your digestive system healthy, and a wealth of science suggests fibre and protein work together to help to keep you feeling full. Research has shown that women who followed a diet higher in protein and carbohydrate for a day reported a greater feeling of fullness than another day, when the main source of energy was fat, despite the fact the same number of calories were provided on both days. This means that by choosing both snacks and meal components high in protein and fibre, such as fruits, vegetables, wholegrains, nuts and beans, it can help to keep you feeling full for fewer calories. You’ve probably heard the expression ‘eat the rainbow’ when it comes to fruits and vegetables and for good reason. A popular rule of thumb is to leave half of your plate for fruits and vegetables, with the remaining 50 percent split between a source of protein and a source of carbohydrate. Fruits and vegetables also tend to have a higher water content, meaning they provide fewer calories per serving – a great way to fill up your plate! Put your fork down and take a sip of water every few minutes. Sometimes you might think you’re hungry but your body is telling you that it’s thirsty! Plus, drinking water helps to keep you feeling full and forces you to eat slower, which can also help with portion control. Have you ever gone back for seconds only to realise that you weren’t really that hungry? When you’re surrounded by delicious food you might not always feel full immediately after finishing a meal, so eating slower or taking a short break can give you time to determine whether you should refill your plate. Try extra chewing, putting down your cutlery after each mouthful, or freezing your leftovers for another time to try to get out of the habit of going back for seconds. 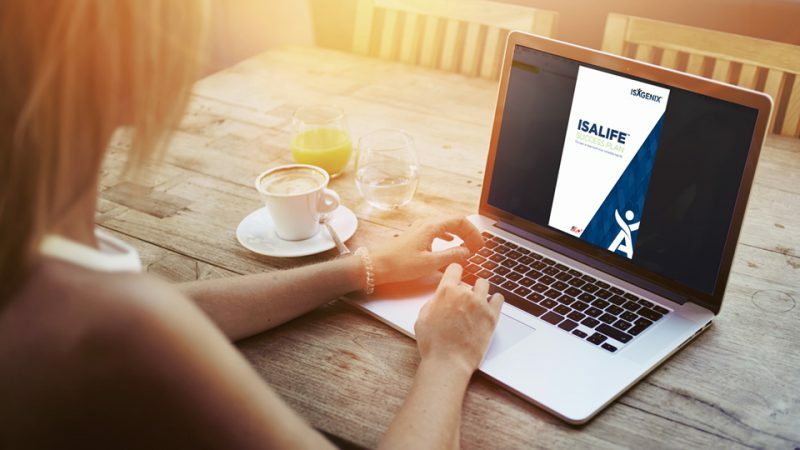 The most convenient way to manage your portion sizes throughout the day is by following an Isagenix System. Our Weight Management Premium Pack or 30-Day Weight Loss System provides all the nutrition you need without the worry of over or undereating. Rather than spending extra time measuring your meals, put that time towards exercise, whether that’s a longer training session or going out for a walk, or use it to spend time with the people who mean the most to you.